We went to see Paddington Bear the movie this week and it was very, very good. While I did read some of his books as a child, I remember him mostly from the 1980s cartoon series. My seven-year old and ten-year old loved the movie. 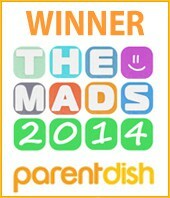 There was oodles of visual humour perfectly pitched to children, and a lot of clever jokes popped in for the adults. There was no swearing, but quite a lot of peril. You may have to explain the concept of taxidermy to your child, but it is a very good film and highly recommended. Seriously good. Paddington has had a bit of a renaissance recently, which is fab. I think the idea of a talking bear from Darkest Peru appeals to all generations. Some of you will have seen the Paddington trail in London. I love all those pop-up town trail things and was sad to have not found the time to have done the Padidington one. Thankfully there are some great days out you can do to get a flavour of the movie, and the marmalade-loving bear himself. 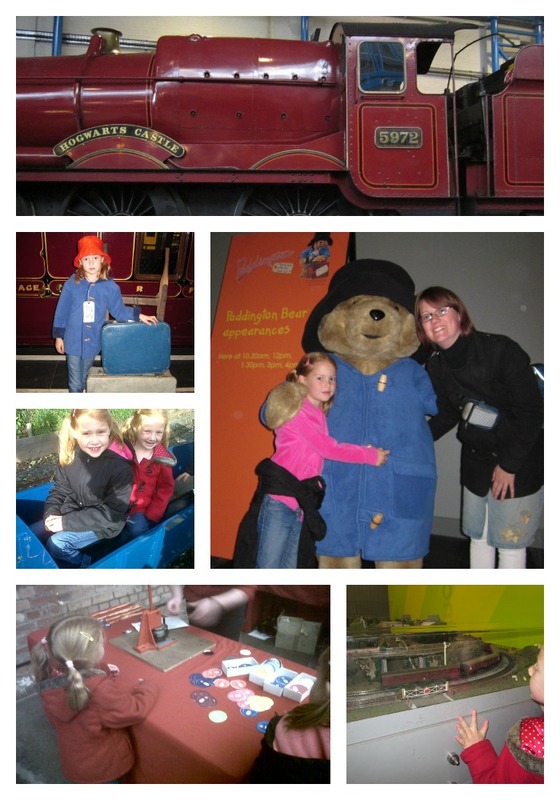 In October 2013 we went to the National Railway Museum for their Paddington themed week. It was brilliant, and all for free! I am pleased to see they are letting him out of his attic and dusting him down again for the spring half-term, which in Yorkshire is 14th – 22nd February. Go and see A Day Out with Paddington at the National Railway Museum in York. The Natural History Museum features heavily in the movie, and it worth a visit in itself. Again, this is free but it does get very busy. Be warned though, you have to behave yourself. No climbing on the roof or dust-busting up chimneys! 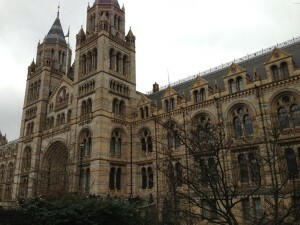 See our review of the Natural History Museum. And then there is Paddington station itself. Full of history and impressive architecture, Paddington station is worth a stop. Don’t forget to visit the bear statue under the clock on platform 1. Other places featured in the film are Maida Vale tube station, where Paddington gets unstuck (or stuck) when faced with the ticket barrier and an escalator, and Portobello Road, where Paddington meets antique dealer Mr Gruber. Don’t bother trying to find the Brown’s house in Windsor Gardens though – the actual Windsor Gardens in London are nothing like the leafy, Victorian terraces of the books and film. Are you a Paddington fan? 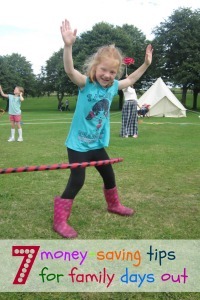 Where do you recommend for Paddington family fun?